A crispy, crumbly, butter-soaked patty, which is baked to perfection to get that lovely golden brown coloured crust, and makes a crunch sound as you bite into it. Isn’t that enough to make one’s mouth water? Moreover, if it is stuffed it with some of your favourite food items like pasta or pizza ingredients well, then who can say no to that? 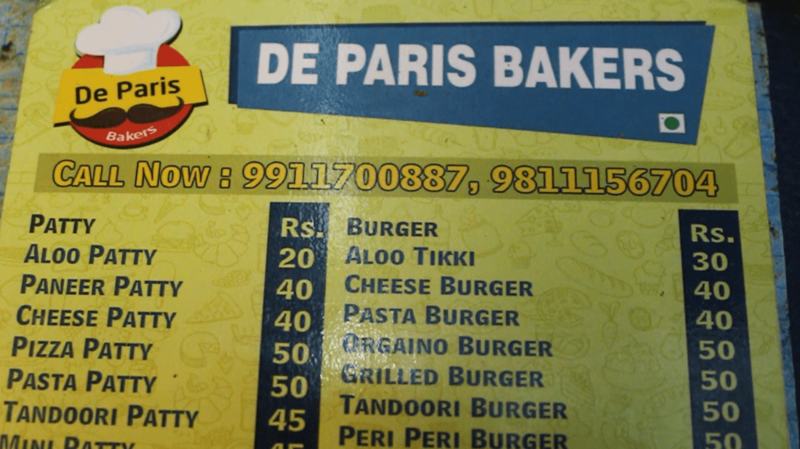 De Paris Bakers, located in North West Delhi’s Shalimar Bagh area, is a small outlet that sells various bakery items like pasta, pizza, fries, shakes and patties. On the outside, this bakery looks plain and simple, in other words, not appealing. Yet, it manages to stand out from the various fancy and expensive bakeries in Delhi. De Paris Bakers was established around 20 years back and is now run by Saurabh, a polite and soft-spoken guy. 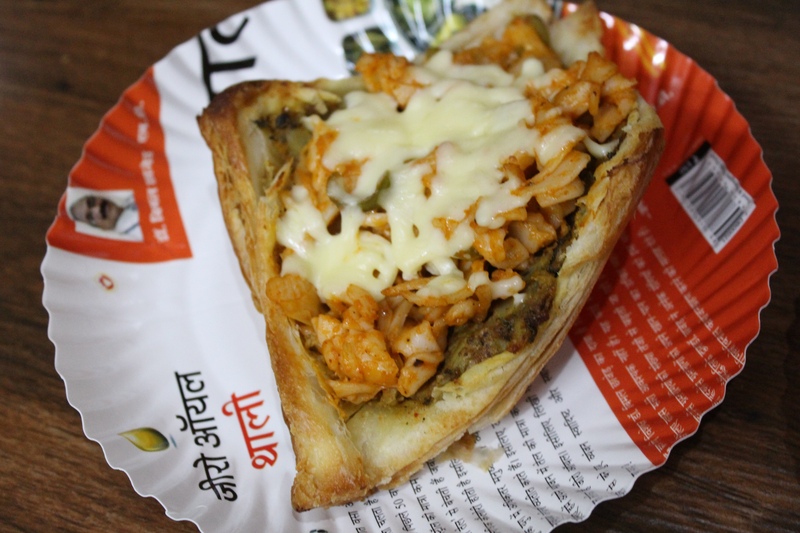 The bakery is popular in the neighbourhood for selling scrumptious aloo patties and other unconventional ones filled with macaroni, tandoori pasta, mushroom, and pizza toppings which are served with ketchup. These patties are filled with mozzarella making them taste heavenly and just a look is enough to make your mouth water. The bakery lacks an organised seating area and can be a little hard to find as it is located on the backside of BP Market in West Shalimar Bagh. All the bakery items are priced at a reasonable cost starting from Rupees 20. They also have various types of burgers and special combos consisting of burger or pizza, with coke and fries which are quite filling. The bakery can be easily reached by metro or, those living close by can also have their food home delivered. This year, De Paris Bakers are trying to broaden their horizons and at the same time leave a lasting impression on their customers by selling these varieties of innovative patties at the NBT Flavour Fest- Street Fusion Food Court taking place at Baba Kharak Singh Marg on the 14th and 15th of October. If you consider yourself a food enthusiast, then you cannot miss this. The festival is curated by Delhi Food Walks and aims to bring to the forefront the talented minds behind the various fusion food items.